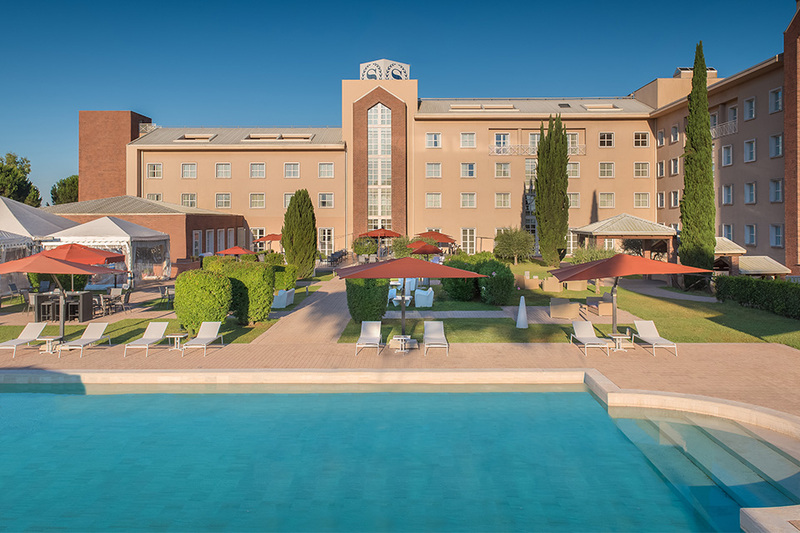 Sheraton Parco De’ Medici Rome Hotel is the perfect location for meetings, coffee breaks and business lunches, with its large and bright meeting rooms overlooking the swimming pools or the green of the golf course. 815 rooms in different categories, 3 conference centers for a total of about 5000 sq.mt. can host single events with up to 600 people. Restaurants & Bars are based on a fresh and modern Mediterranean and Italian cuisine using local ingredients for menus and banquets. 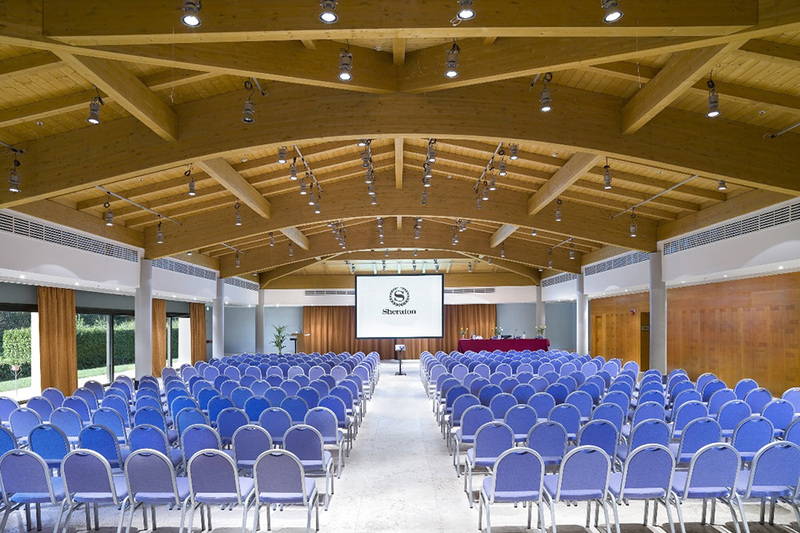 Its vast outdoor and indoor spaces, as well as its strategic location, near by the international airports Fiumicino and Ciampino, the city Center, the congress area of the EUR (Nuvola) district and the New Roman Trade Fair, make it the perfect place for any kind of event.